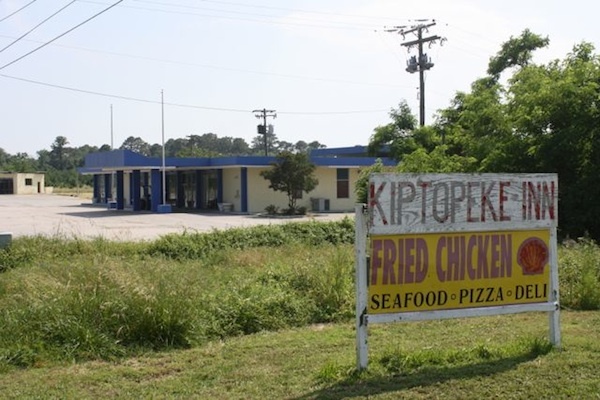 Robert Occhifinto, the newest millionaire “come-here” to Northampton County, has done it again, purchasing yet another failed property near Cape Charles – this time the crumbling Kiptopeke Inn. Built in 1963 as a Holiday Inn, the 104-room motel closed last September after going into receivership. Most recently it was owned by developer Nimrod Tavi. The Kiptopeke Inn was listed for sale at $995,000, but Occhifinto has shown a penchant for offering pennies on the dollar. He bid $300,000 last year, but his offer was refused. So Occhifinto waited, and more than six months later the owner apparently decided that $300,000 was better than nothing. The sale is expected to be completed soon. That’s good news for the Kiptopeke Inn, as Occhifinto has already demonstrated that he’s no slumlord. 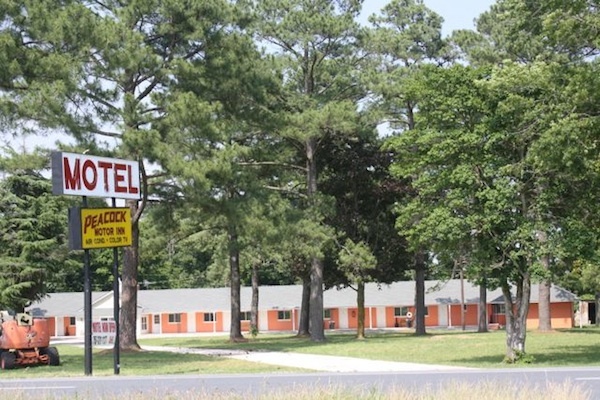 Take a look at the now-gleaming Peacock Motor Inn which he rescued from disrepair last year. The Peacock will always be for travelers on a budget, but the rooms are bright, clean, and nicely furnished. Occhifinto, 51, is a New Jersey entrepreneur who made his fortune producing and marketing over-the-counter diet supplements. He is famous locally for purchasing Aqua Restaurant, Bay Creek Marina, and related properties last December for $4.6 million. The bankrupt Aqua Restaurant shut down last December, but immediately upon purchasing it Occhifinto began sprucing it up. He rehired many of the staff and reopened the doors Easter weekend. Occhifinto’s next big project may be construction of a hotel in Marina Village near Aqua. According to Town of Cape Charles officials, discussions have been held with Occhifinto’s local agent, Bill Parr of Parr Properties, regarding a hotel. A hotel on the beach would be a natural draw for the 50-plus destination weddings held each year at Aqua. And being in a different price range, it would not compete with the Kiptopeke Inn or the Peacock. Occhifinto’s latest pending acquisition should be good news to Cape Charles Assistant Town Manager Bob Panek, who complained publicly last week that “One of the things this area needs is a hotel.” Panek proposed that “something like a Holiday Inn, a Hampton Inn” should be built on Route 13 near the intersection to Cape Charles. Those preferring to stay the night outside of Cape Charles will be able to choose from the Rittenhouse Motor Lodge, Shore Stay Suites, Peacock Motor Inn, Edgewood Motel, Kiptopeke Inn, and Sunset Beach Inn — the furthest being 9 miles from the traffic light to town. We welcome the Kiptopeke Inn as our neighbor. We will “share” guests with them, as we currently do with our local business relationships that we have established with other Innkeepers/Managers/Owners. We wish them a prosperous future, and will assist in any way that we can. I believe having an Inn will be a welcome part of lower Northampton County, and I admire Mr. Occhifinto for “saving ” the things that he has done. But I still have a problem. 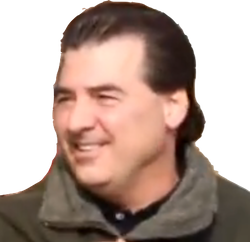 If he wants to do something, what about the old BeLo and Meatland buildings? It bothers me that Food Lion is the only place we have to shop for groceries unless we want to make the trek to Walmart, which takes our money out of our County. Referring to Robert Occhifinto as the newest millionaire “come here” is in bad taste. I find it hard to believe he finds it flattering. Don’t forget all the millionaires who have come before him and left with their broke tail between their legs! Since I’ve never been in the physical presence of a “savior”, I hope I get to meet this one. Maybe he’ll need a haircut! My family in New Jersey come home to the Shore often and we stay at the only hotel located in Kiptopeake (Where I was born and raised). It would be a wonderful idea to reopen the once vibrant and customer-friendly Holiday Inn. The Shore is such a beautiful place for travelers to stay overnight and vacationers to relax and enjoy the ambience of the blue skies, welcoming waters of the Chesapeake Bay, great seafood dining, awesome souvenir shops, best fruits and vegetables in the world and to meet the friendly people of the Eastern Shore. Are there architectural designs or layouts of what the property will look like? I am anxious to know. Reviving this old property is one of the greatest things that will revitalize the Shore and increase tourism. Moreover, I love what you have done with the old ferry dock. Marvelous!